The Cadco WTRT-40-HD heated shelf is long with two heating areas each measuring 19-inches-by-11-inches. These areas have separate controls, enabling users to heat different types of food at the same time. 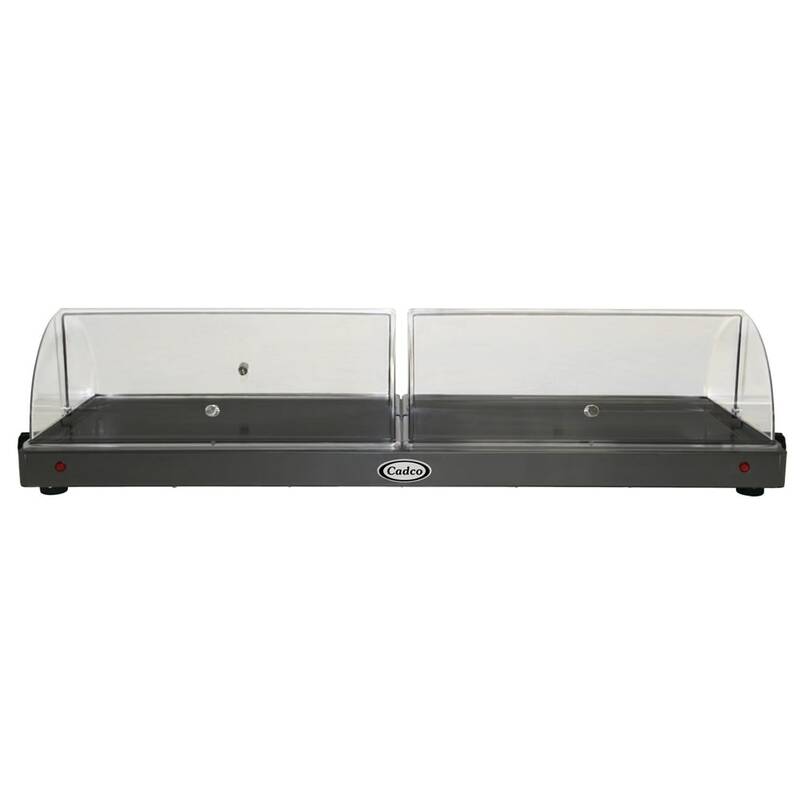 Each bay can heat to 205 degrees Fahrenheit, and provided see-through lids rest on top of the unit to protect food. Made of stainless steel, the shelf avoids bending or breaking. The Cadco WTRT-40-HD warming shelf has handles that stay cool to the touch and legs with non-skid feet. Heating area: 19 in. x 11 in. Our warmers guide gives more information about tools to keep food warm.